These are a new one to me this week! I have had bagels, both mainstream and gluten free but I have never seen them with chocolate chips, is that just me? Whilst hunting down bagels in my local Tesco I had to pick up this pack up as well as a plain flavour! I wasn't 100% sure how to eat these so I ate them as I would with a normal bagel, toasted for breakfast with a good helping of butter. I only toast the inside side of a bagel, its just the way I always like them! 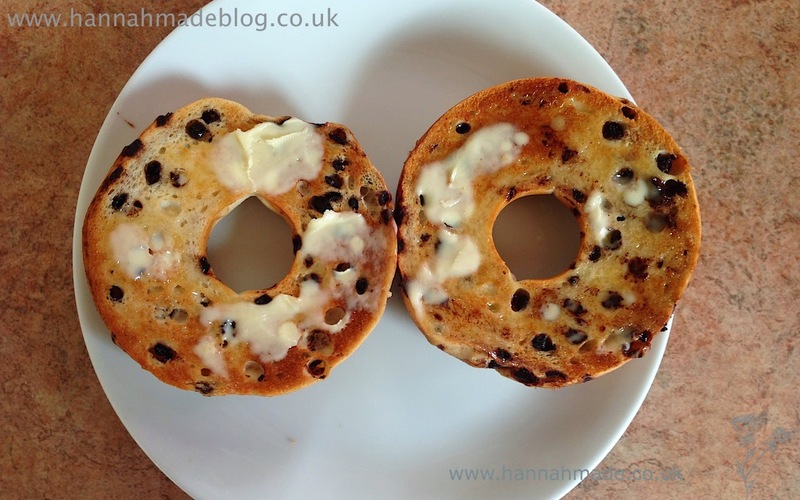 The flavour of these bagels actually reminded me of a pain au chocolat, I think that was because it was packed full of melty chocolate chips. I really enjoyed it as I was concerned that there wouldn't be too many chips, so I was really pleased! It did not seem at all dry or crumbly, the texture was perfect for a bagel, regardless of being gluten free or not. The combination of the crisp toasted bagel and soft gooey chocolate chips was the perfect juxtaposition particularly as the bread is quite sweet and the chocolate is rich. There was a good mix of complimentary flavours and textures. Tons of chocolate chips! who doesn't love chocolate! 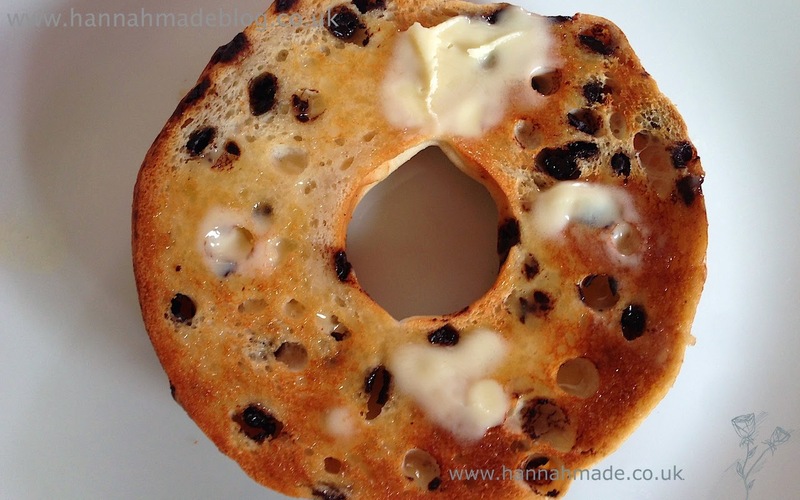 The flavour and texture is comparable to a mainstream bagel. They are £2.30 a pack but there is plenty of coupons floating around for them. I went to three supermarkets before I found them, but my large Tesco never lets me down, so I would recommend trying them if you can't find them!